Here you can get the January 2016 Odia Kohinoor Calendar, Marriage Dates, Festival Dates, Holiday list and Many more on New Odisha. We have added a full scanned copy of the Odia Kohinoor Calendar of January 2016, So it is easy for you to get all the Marriage Dates, Festival Dates, Holiday list and Many more of 2016 January Month. 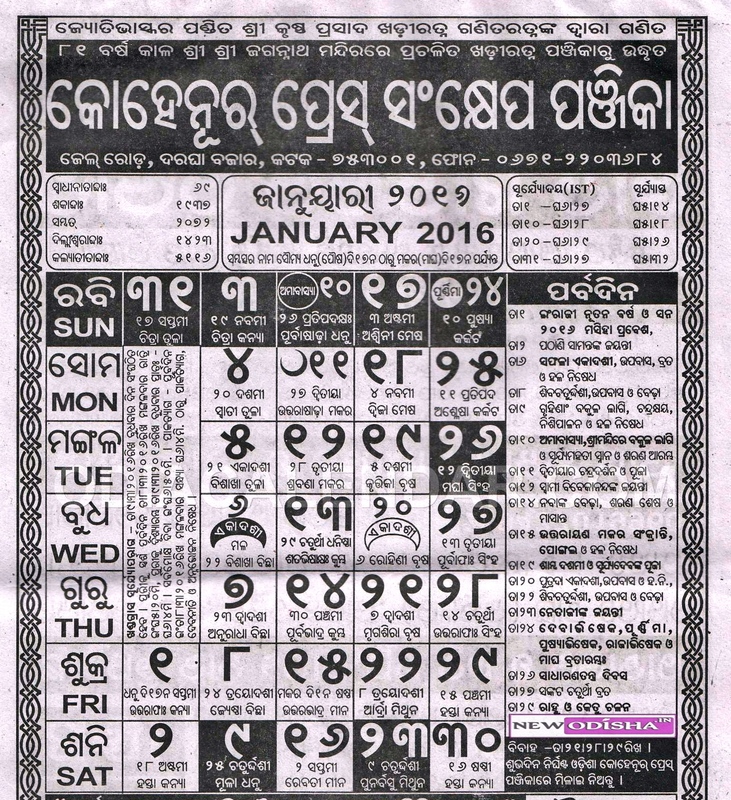 Give Responses for "January 2016 Odia Kohinoor Calendar and Holiday List"